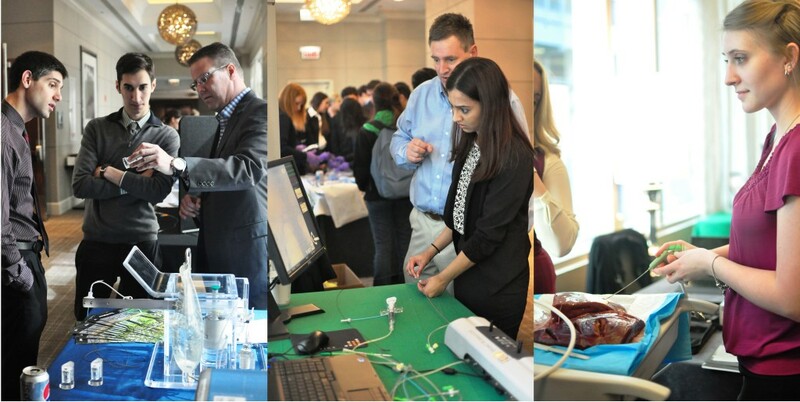 On March 14, 2015, the 1st Annual Midwest Interventional Radiology Medical Student Symposium was held in Chicago, Illinois. 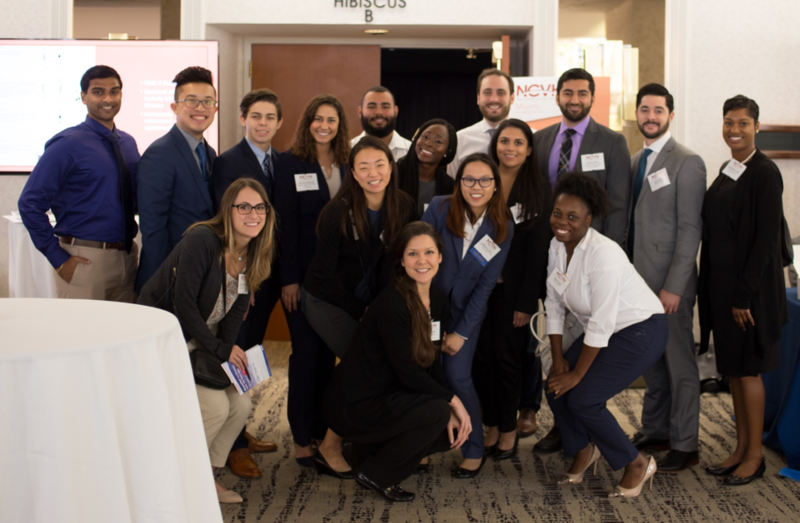 The Symposium was a collaborative effort of six medical schools: The University of Chicago, Medical College of Wisconsin, University of Illinois at Chicago, Loyola University, Rush University and Northwestern University. The program agenda was set by Dr. Navuluri who arranged the venue, and arranged speakers and hands-on simulators. The event was free of charge, which was madepossible by educational grants. Attendees were only required arrange their own transportation and lodging. The morning and early afternoon were comprised of lectures. 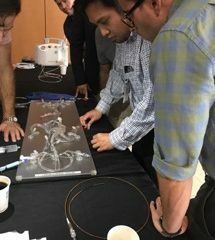 The lecturers included Dr. Rakesh Navuluri (History of IR and GI/GU Interventions), Dr. Seon-Kyu Lee (Neurointerventional Radiology), Dr. Parag Patel (Aortic Disease), Dr. James Bui (Interventional Oncology), Dr. Parag Amin (Venous Interventions), Dr. Bulent Arslan (Peripheral Arterial Disease), and Dr. Kent Sato (Embolization). 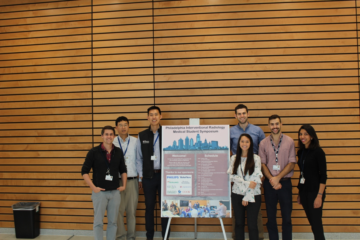 After a lunch, which was provided for all attendees, and the last of the lectures, we held a Q&A panel discussion with two PGY-3 diagnostic radiology residents from The University of Chicago (Dr. Amar Mehta and Dr. Mikin Patel), and an IR fellow from Stanford University (Dr. Osman Ahmed). The afternoon concluded with hands-on sessions. Nine booths were arranged. Station 1 included RF ablation of a phantom liver as well as sample equipment (catheters, guidewires and angioplasty balloons). Station 2 included sample drainage catheters, angiographic catheters, stent-grafts and IVC filters. Station3 included vertebroplasty equipment. Station 4 included an ultrasound-guided venous access simulator, biopsy needles, PICCs and port catheters. Station 5 included a microwave ablation simulator of animal liver. Station 6 included a computer endovascular simulator. Station 7 included a Ttac and gastrostomy tube simulator using pigs stomachs. Station 8 included samples of various stentgrafts. Station 9 included a sample radioembolization setup as well as a thrombectomy device. Having a joint effort by multiple institutions allowed us to greatly expand the scale of the event. Invitations were sent to medical schools within Illinois, Wisconsin and the neighboring states. We had approximately 190 students who responded with interest. The event was limited to the first 150 who responded due to the size limitations of the conference room. 113 students ultimately attended. The expanded event scale also helped in encouraging industry to provide sample equipment and simulators. Finally, by having lecturers from multiple medical schools the IR message was more emphatically presented: Interventional radiology is not an uncommon specialty with a limited scope of therapies, but rather has profound impact on patient care everywhere through a wide range of procedures.